The terms antique, vintage and classic are used nearly interchangeably for motorcycles. For ease of definition, let’s say a classic motorcycle is one which is over 25 years of age, and one which stands out and draws your attention immediately, be it because of the technological superiority of the motorcycle during its time or just because of its character. 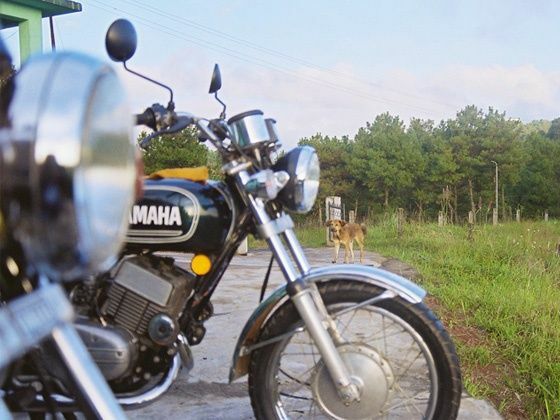 In India, there are few classics like the iconic Yamaha RD 350 which attained cult status in the 1980s and continues to remain a favorite of die-hard motorcycle aficionados. These days, RDs are seldom seen on the road, but motorcycle enthusiasts still lust for the 350cc two-stroke twin cylinder. 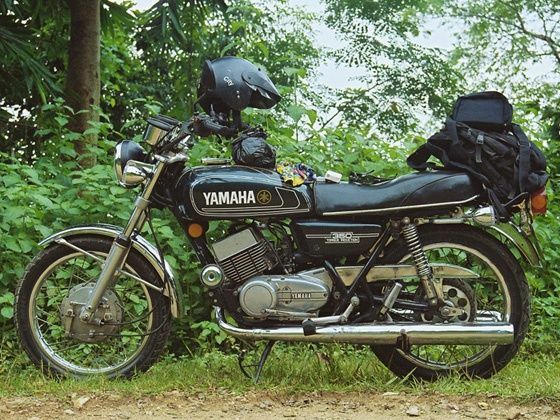 I recently acquired a well-maintained, RD from a friend in Guwahati. It was of 1986 vintage, belting out 30.9PS at 6750rpm with a very healthy maximum torque of 32.3Nm at 6500rpm. 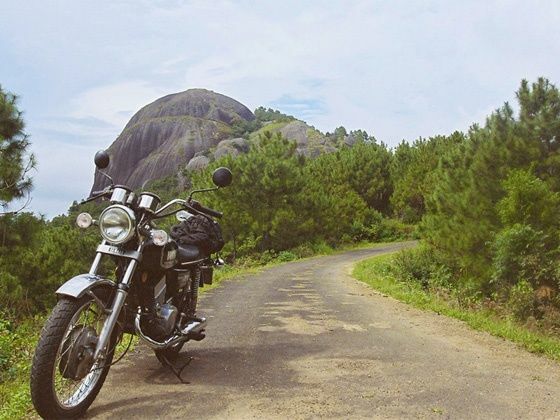 After running around town on the motorcycle and numerous tune-ups at the mechanic’s, it was decided to do a loop around Meghalaya to get to know the motorcycle better. A friend also decided to join in on his 1989 low-torque 26.4PS Yamaha RD350, three years younger than my bike. The short gear ratios and high-powered performance of the RD makes it a fun motorcycle to ride, be it in city traffic or on a long highway. We were headed the long way round to Shillong, the capital of neighbouring Meghalaya, west out of Guwahati, then a steep climb south and back eastwards to Mairang and then on to Shillong. We made the 140-odd kilometers to Mairang in a little over three hours and the heavens opened up as soon as we entered town. Evenings in Mairang are magical – clouds roll in from everywhere and envelop everything in mist. And just as suddenly as they cloud everything, they disappear after a couple of hours. No wonder the state is called Meghalaya – loosely translated, means “abode of the clouds”. 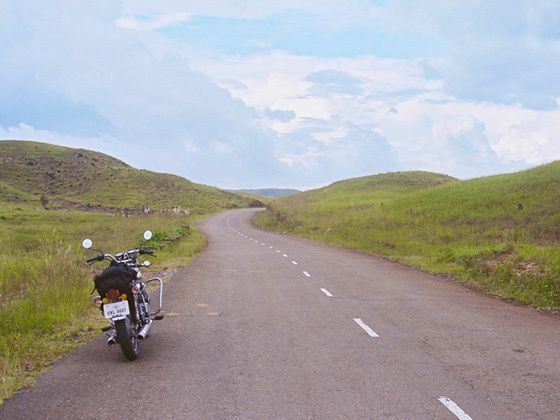 The 45-odd kilometers from Mairang to Shillong offer one of the best roads in the region to ride a motorcycle. Meandering through the countryside, the road is filled with twisties, steep climbs, pine forests and little hamlets. It is just the perfect road for an afternoon ride on the RD, clicking through the six shortly paced gears, downshifting in the corners, accelerating out again. Climbing up a mountain road on a RD is pure fun. Its taught double cradle frame makes it a great handler and corner carver, though the oodles of torque high up in the powerband sometimes make for a scary experience. 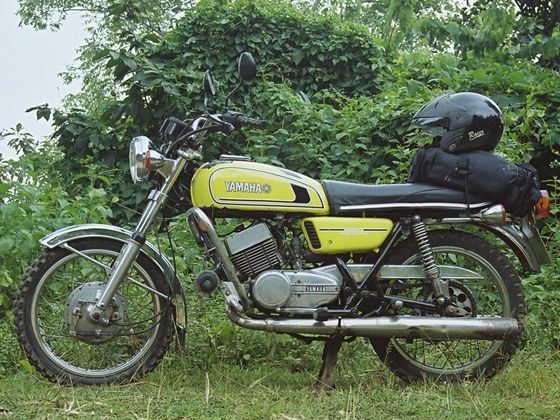 The two-stroke RD 350 was made in India by Escorts under the Rajdoot 350 name from 1983 to 1990. However, the motorcycle died a quiet commercial death in the late 1980s. The first “high torque” bike’s high fuel consumption was considered the main reason and the manufacturers released a later de-tuned version that was supposed to give better fuel consumption figures. That’s how the “low torque” version with 26.4PS on tap was launched. However, this strategy also misfired and by the end of the decade, the Yamaha RD350 was phased out in India. By the turn of the century, there were very few RDs to be seen on the streets anywhere in the country. Die-hard fans however, still swear by this legendary machine and Shillong seems to be no exception. We came across a few extremely well-maintained RDs and the local RD mechanics also seem to know their job. After a tune up and hunt for some “old but unused” OEM spares, we decided to hit the road to Dawki the next day. 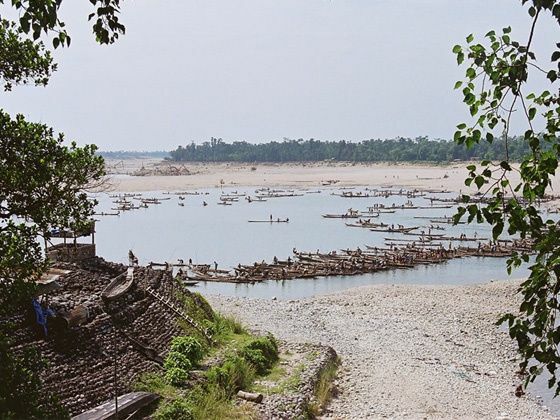 Dawki is about 90 kilometres south of Shillong and lies on the international boundary with Bangladesh. 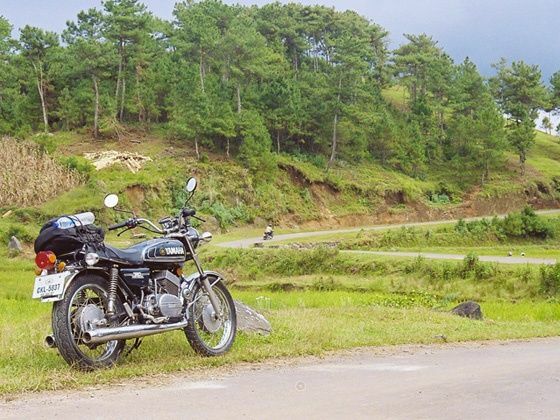 The road to Dawki is another gem of a motorcycling road – one long climb over the East Khasi Hills and then over a plateau covered by green meadows before the final sharp descent to the border town. We were having fun, the two RDs in perfect sync with each other, cruising past the sparse traffic on the highway. The six gears click with smooth precision and the wild acceleration of the RD makes overtaking a breeze. 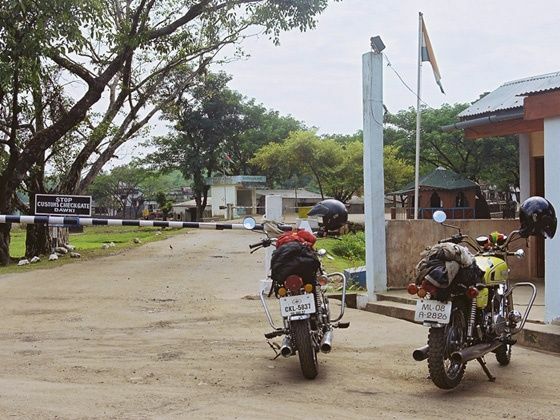 Dawki lies on the India-Bangladesh border at the end of NH40, Guwahati-Shillong-Dawki road. Across the customs checkpoint is Tamabil on the Bangladeshi side and that road goes on through Sylhet and on to Dhaka. After a quick dip in the Dawki river and a delicious meal at a dhaba, it was time to head back to Shillong, not the same way, but north-east through the Jaintia Hills and the town of Jowai. The ride back to Guwahati the next afternoon was uneventful, except for the pelting rain throughout the 100 kilometres. It was the end of that first long ride on the Yamaha, but it was the beginning as well, of a very demanding relationship with the iconic RD350. website. You should enter the VIN number of the car and you’ll be able to get the detailed information about its operational history, mileage, whether it’s in a databases of stolen cars etc.